During restoration work being carried out on the eastern side of the King Djoser Step Pyramid in Saqqara, archaeologists discovered a statuette of Osiris. 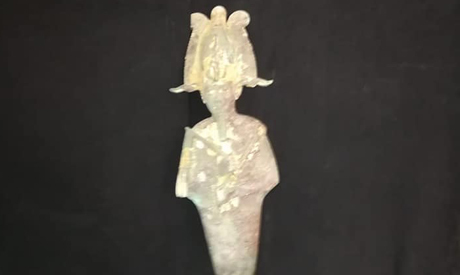 Head of the Saqqara archaeological site Sabri Farag said that the statuette was discovered in a small crevasse between the huge blocks of the pyramid’s eastern façade. “The statue was probably concealed in this area by a priest of Saqqara in antiquity,” Farag said, adding that the artefact is undergoing restoration.